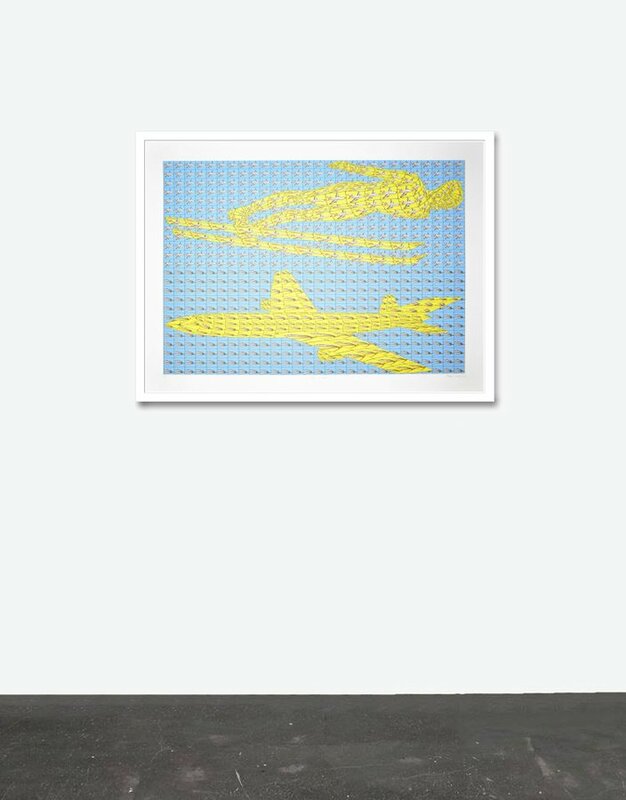 Find more information about the offered work at Thomas Bayrle Flying Home Details. 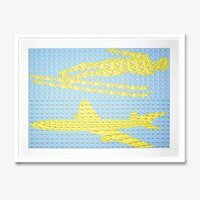 You want to buy Thomas Bayrle's Flying Home and you have questions regarding the checkout? We've collected in-depth details for you. You want to find out more about the artist? 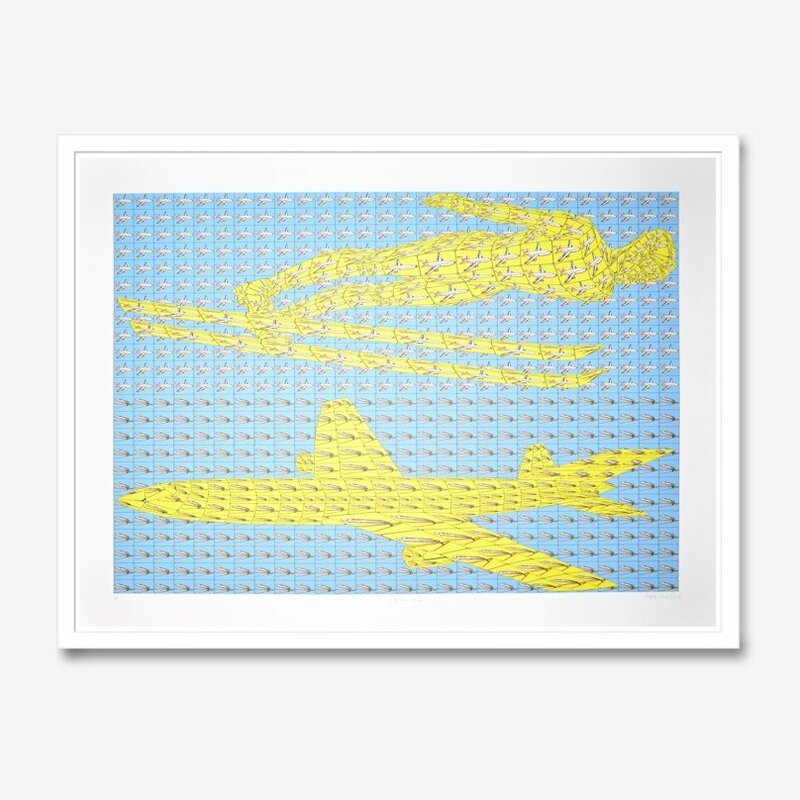 Under Thomas Bayrle you can find more details about the artist's life and work. 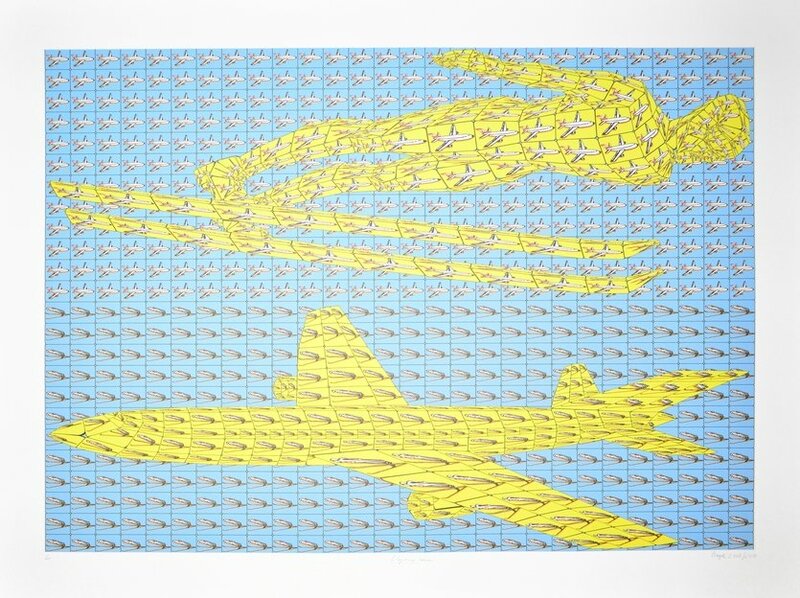 The graphic 'Flying Home' by Thomas Bayrle is like new and fresh from the press and in excellent condition.  The large-format unique print has a sheet size of 44.9 x 33.1 in and is handsigned, dated, and numbered alphabetically. All 10 artworks have colour variations in presentation. The small edition in combination with light differences in presentation make the artwork a one-of-a-kind creation. 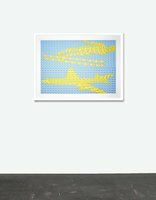 Bayrle, who explores the coexistence of humans and technology in his artworks, contrasts the process of flying, performed by an airplane that can be understood as a symbol of technical progress, with the flight of a sky jumper in opposite direction. 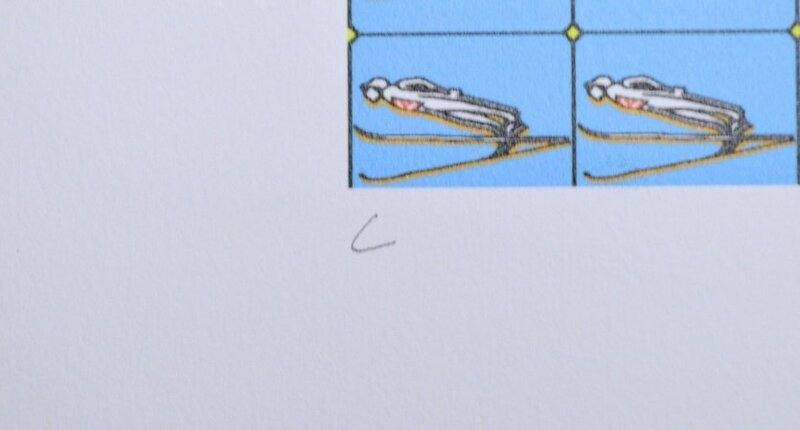 Signature: handsigned and dated under the motif on the right " Bayrle 2000/2014"